Vantage RES is pleased to announce another successful 5000 SF long-term lease of office space in Galloway, New Jersey illustrating their widening geographical reach. 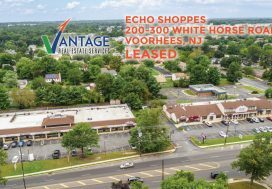 Leor Hemo, Founder and Managing Principal and Emily Stein, Director of Healthcare Services of Vantage RES, represented the landlord, Tilton Vistas LLC in this transaction. By utilizing purposeful negotiations, the commercial brokerage firm was able to accommodate the needs of both the landlord and tenant, Claims Resolution Corporation. 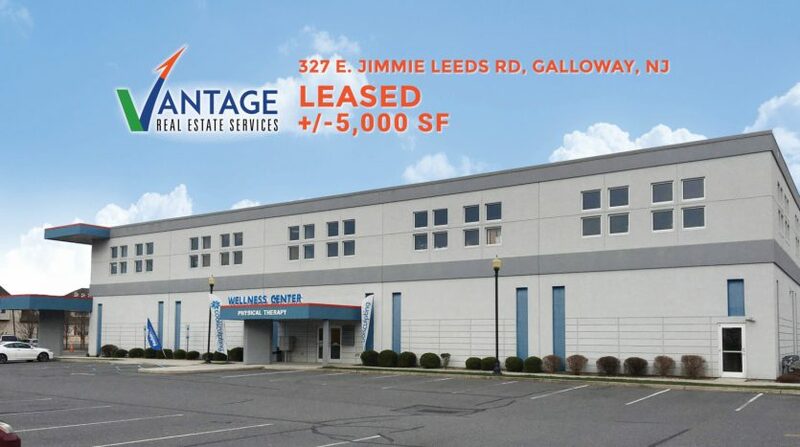 The building is located at 327 E. Jimmie Leeds Road in Galloway, NJ. The tenant leased 5000 SF in the building which is located on a highly trafficked section of Jimmie Leeds Road. The highly popular Tilton Fitness, with 4,000 active members, is a co-tenant in the space. 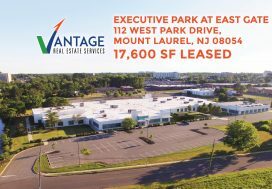 Situated 5 minutes from the Garden State Parkway and Atlantic City Expressways, and accessible from Pitney Road and Jimmie Leeds Road, this is an ideal location for the growing consulting company. A full renovation of the office space is planned. Claims Resolution Corporation is a full service, multi-line claims management provider including Workers’ Compensation, General Liability, Auto Liability, Professional and Property claims administration services. Claims Resolution Corporation’s mission is simple – to serve clients with the highest level of integrity, dedication, and commitment while utilizing decades of experience to develop a shared long-term vision of their claims management needs. Hemo and Stein worked closely with Michael Cohan, President of New Vista Corporation and a partner in the Jimmie Leeds Road property, to secure this lease. 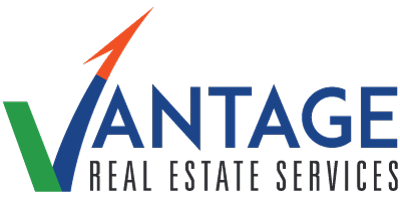 “Vantage Real Estate Services have yet again proven their superior service by providing a successful new tenant transaction,” said Cohan “Claims Resolution Corporation, a recently acquired tenant at the Tilton Vista professional office building in Galloway, was the perfect match for this closely-held asset. Vantage RES was instrumental in working the transaction to its successful conclusion”.